Tempted to move your business into a beautiful listed building? Make sure you ask yourself these four questions first! Thinking about moving your business into a listed building? Moving a business anywhere is daunting. There’s so much to do; moving systems, phone lines, and internet connectivity, dealing with staff resistance to change, and so much more. Moving to a listed building poses extra questions and uncertainties compared with a transition to a purpose-built office – as Lisa Forde from Dotty About Paper discovered after she expanded her business into a Grade II Listed building. Last summer, we moved our business, Dotty About Paper and Tree of Hearts, into a Grade II listed building. It had previously been a guest house and café, and before that, a butchers. The charm of the building and its location next to the river were the biggest benefits for our business as they helped give our company a unique personality. Each bedroom was perfect as an office in terms of layout, with electric points and thick walls to stop noise from carrying. There were some key questions that we asked ourselves before deciding a listed building was a good choice for our business. If you’re considering the same move, here are four questions you recommend asking yourself. 1) Does the building suit your workforce and customers? Listed buildings are harder to change, so consider issues such as accessibility for disabled employees or customers. Before we moved, we had to figure out how we would make the business work within the building. The workflow had to adapt to the new environment. Extensive surveys were carried out so we knew which problems had to be fixed before we took on the building. Each department had to have easy access to our large card stock, so we had to consider the layout of the building. We stored the inventory in the basement, and had to level the uneven stairs to make sure it was safe to reach. Being internet-based, we depend upon broadband. Wi-Fi wasn’t an option due to the thick walls of the building, but internet cabling now ensures fast and consistent speeds. And, as it was built during the horse-and-cart era, our building has little parking for staff. But an agreement with a local car park solved this. 2) What timescales are you working to? We wanted to use the frontage of our building to advertise our company, but this wasn’t a quick job as planning permission is required for advertising on a listed building. We knew this was the case, so we factored the time it would take into our relocation plan. We sought the advice of council planners from the outset to ensure changes were sympathetic to the property’s character and planning was granted as quickly as possible. 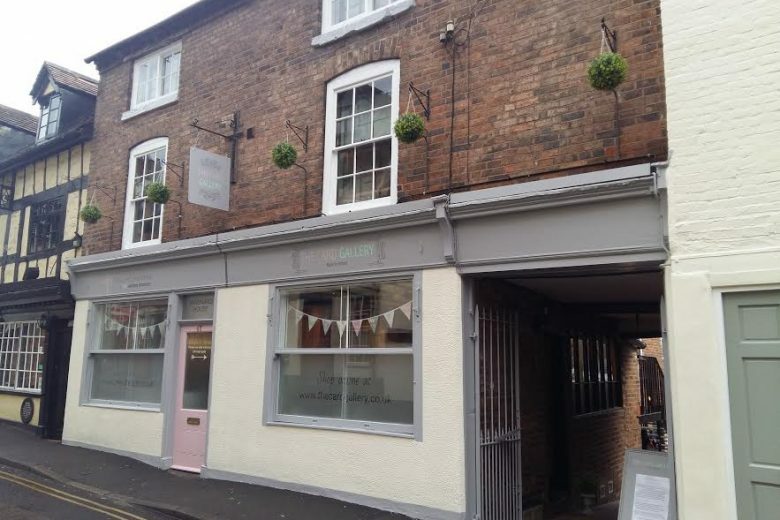 While our planning application progressed, we put our PR and social media plan in place so we were ready to tell everyone about our new location as soon as the exterior painting was complete. 3) Do you want to decorate and renovate your building? Simple decorating and renovating jobs are not as straightforward as they are in a modern building. Pipework doesn’t always run where you would expect, while floors and walls are usually uneven. We used local workmen that had worked on the property over previous years, who thankfully knew where the pipes and cables ran. We’ve had the electrics and plumbing checked out, and a new roof put on the building to ensure there are no hidden surprises over the years to come. Uneven floors were one of our biggest challenges, with staff unexpectedly sliding out of their seats! After carefully researching options for chairs and desks, we have overcome these challenges. We’ve used the charm of our building as a talking point for our business; it’s full of character and memories! We’ve kept the butcher’s hanging hooks, along with black-and-white photos of how the building previously looked to show visiting suppliers. 4) Can you afford the upkeep? And finally, old buildings often require more upkeep than new purpose-built structures. So we’ve set up a ‘rainy day fund’ for maintaining and renovating our lovely building over the years ahead.